I'm a huge fan of Laura Lam's Micha Grey series, she created such an interesting world where magic is no longer a constant thing but instead lives on in rare artefacts known as Vestige. These artefacts often have dangerous powers but you never know what will happen until you actually try to use one. Laura has created this spin off series to tell the stories of some of these Vestige items, some of the stories will feature characters we've already met in the main series while other stories will introduce new characters but I'm sure they'll all be interesting to read. 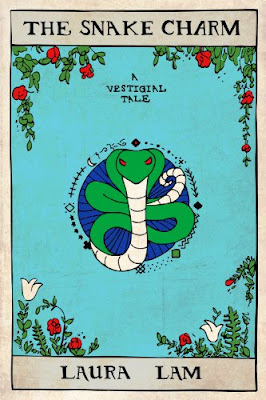 The Snake Charm is kind of a prequel to Pantomime, it's set at R.H. Ragona's Circus of Magic and told from the point of view of the white clown Drystan who is one of the main characters in the series. It's set before Micha joins the circus and I really enjoyed seeing a different side to Drystan. While I do think you can still read and enjoy this even if you've not read the full length books set in this world I personally think you'll enjoy it much more if you've at least read Pantomime so are already familiar with the characters. We already know that Drystan is keeping secrets but this shows what an impossible position those secrets put him in when he is torn between helping one of the other clowns or the circus ringmaster Bill. 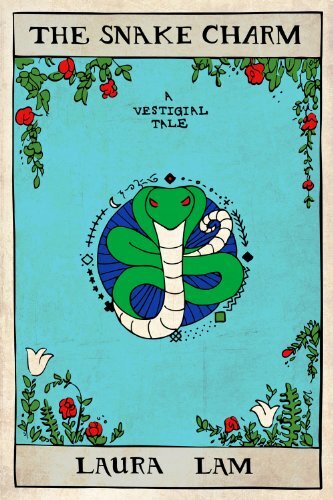 I'm not going to say more so you'll just have to read the story to find out what happens but I really enjoyed revisiting this world and I'm looking forward to reading the remaining Vestigial Tales.